They say old horses should be put out to pasture. Their glory days are long over. What use are they? 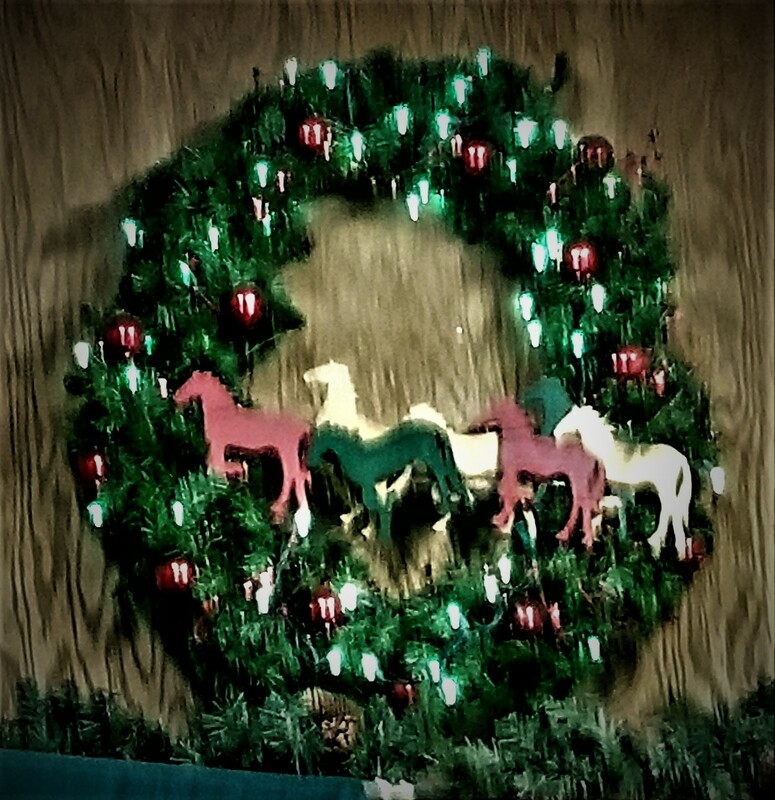 When the local horse retirement farm held its annual holiday open house for aged equines yesterday, I decided to go. I love horses. I do. Aging. I can’t quite wrap my head around it. Some days I still see myself as the younger version of who I am now. Running—if not galloping—through the fields. I drive up a long mud-drenched roadway. The horse farm sits atop 400 acres of rolling hillside and pastureland. 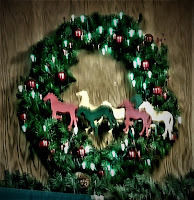 It’s Christmas and I want to get into the spirit, plus I like experiencing new things to write about. A dreary rain, temperatures registering in the mid-50s. Volunteers wave us over, gesturing where to park. One woman’s van gets stuck in the muck and two men run over with wooden planks to slip under her tires for traction, that’s how much rain has fallen. After parking, I step inside the welcoming entry/office. Girls in Santa caps serve hot chocolate, hold cans of Reddi Wip. We all pretend it's snowy and frigid, not spring in December. Still, I want to see the horses. As a little girl, china horses graced my bedroom bookcase. Like most children growing up in the suburbs on the perimeter of horse country, I read Black Beauty and My Friend Flicka. I follow the others to the barn. The odor of hay and horse accosts me. A long line of numbered stalls festooned with red ribbons and Santa caps. Heads and snouts push out in search of treats. Huge brown eyes implore. 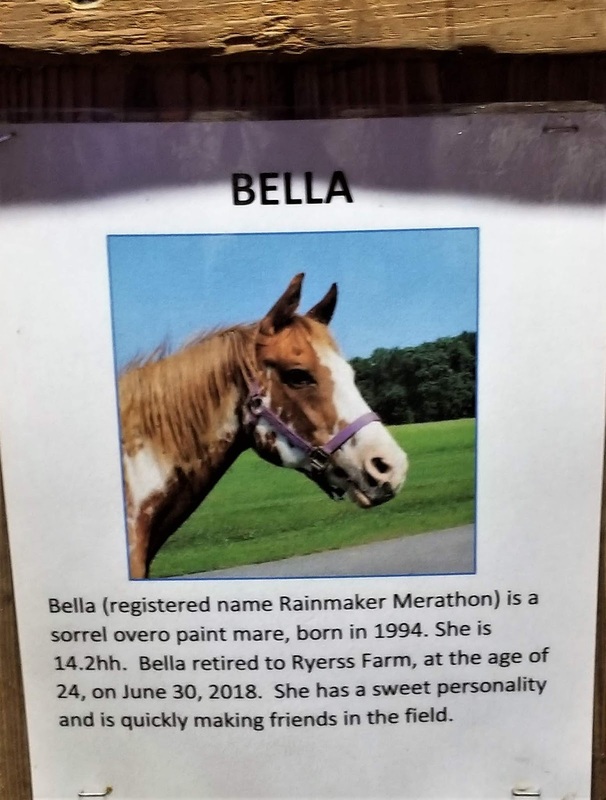 Their days of racing and dressage long over, plaques with their names and histories…Bella and Dancing Diablo…some had spent more than a decade at the farm, many rescued from abusive situations. Old horses past their prime dependent on the kindness of strangers. Feasting on apple slices and carrots proffered by children and adults alike, they live out their remaining time, which on this day was pretty much a petting zoo for equines. 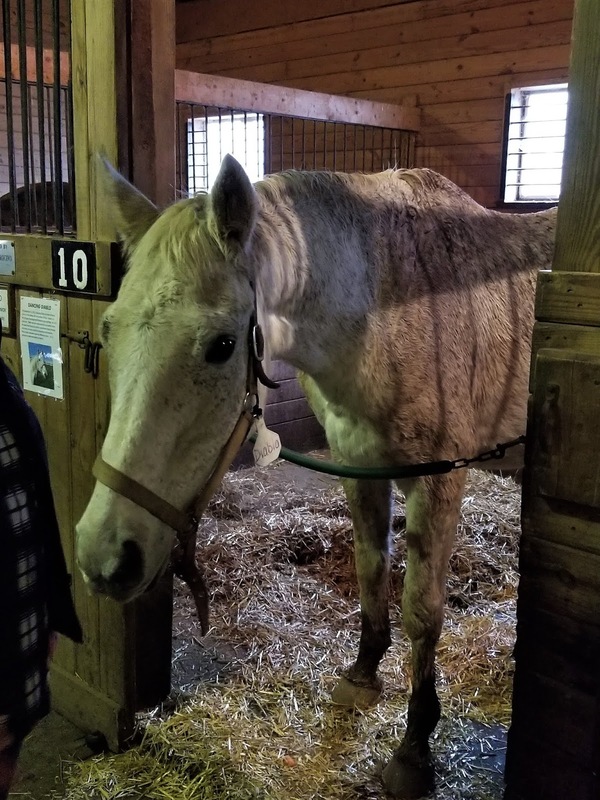 One big old gelding had been born in 1989. How long do horses live? According to what I read, the average life span of a horse is between twenty-five and thirty years. But one named Old Billy, born in England, was 62 years-old when he died in 1822. Poor Old Billy! How ancient he must have felt in his bones. 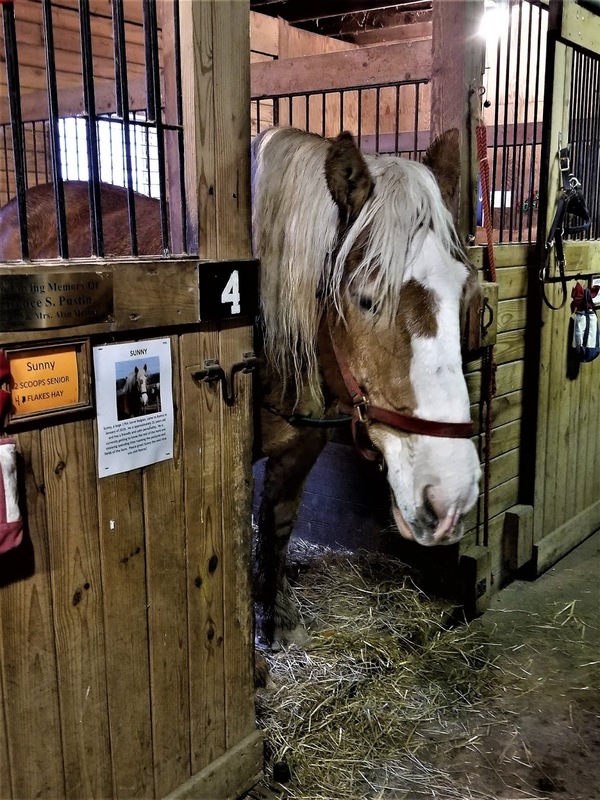 The minimum age to retire at Ryerss Horse Farm in Chester County is 20 years old. These are the rescued senior citizens of the horse world here in my little corner of the world where roads named Horseshoe Trail abut woods and fields. Echoes of fox hunts give way now to the buzz of bulldozers, grinding the earth for half a million-dollar carriage homes for the 55-and-up set. Who knows what horses dream? Maybe it’s not a big deal. 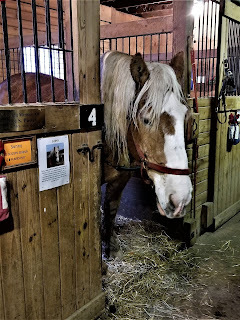 Relaxing in stalls with other horses? Or maybe the aftershocks of no longer being “useful”—of riding trails and serving masters—they dream of galloping the fields of Elysian. In Homer’s writings the Elysian Plain was a land of perfect happiness at the end of the Earth. I want to feel happy, I want to get into the holiday spirit. Either the dreary weather or the hoards of people and their kids who have to be told not to take more than two cookies from trays in the office area where the hot chocolate flows, leave my spirit a bit deflated. So many Christmases now in the rearview mirror of memory. The boys in pajamas and bathrobes racing downstairs to unwrap Christmas presents under the tree. Mother in bright red wool blazer and skirt, wearing gold holly berry earrings. Dad in dapper coat and bow tie. Whatever my fate, whatever “retirement” holds, I’m one of the lucky ones. Who could deserve more than I who has lived the love of an amazing man, two strong sons, parents who never abused me? 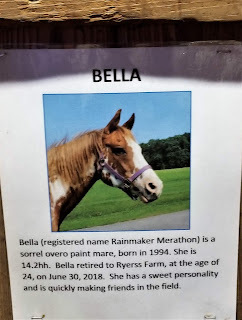 I’m not ready to retire, but I’m not ready to gallop full bore through the fields anymore. I turn off the computer. Time to get into my pajamas and go to sleep.